CiCi Bellis announced today that she has signed with IMG, who will represent her as she pursues a career as a professional tennis player. The 17-year-old from Atherton, California, who now lives in Florida, had recently verbally committed to Stanford University for 2017, but her run at the US Open, where she earned $144,000 for reaching the third round in singles as a qualifier, convinced her the time was right to turn pro. Currently ranked a career-high 120 and into the second round of the WTA International tournament in Quebec City this week, Bellis spoke to me last week about her decision. "I think the past summer, and the WTA tournaments that I've done and my recent tournament here at the US Open, changed that decision for me," Bellis told me. "That's kind of what did it." Bellis said her ability to compete and win matches on the WTA tour, where her current record for 2016 is 6-3, figured into her decision. "I really just believed in myself, that I can do it and I can do it in the future," Bellis said. "That I can compete at this level consistently." Bellis says she will miss playing for a team, having led the US girls to the 2013 14-and-under ITF World Junior Tennis team title and the 2014 16-and-under Junior Fed Cup title. "I've always loved playing team tournaments," Bellis said. "Every single one I play, I always bring out my best tennis. I think I will definitely miss that about college tennis, but I definitely would like to play Fed Cup someday, so that would make up for it." Bellis selected IMG to represent her primarily due to her relationship with Marijn Bal, an agent based in Bradenton. "We were talking about the first time he talked to my dad and watched me play, at the 12s Orange Bowl semifinals, after I won," said Bellis, who lost to Claire Liu in the 2011 final. "He's literally been with me since then, obviously not officially, but he's helped me so much with wild cards in the past, about social media, what to say. He's basically been my agent without officially signing for the past four years. I talked to a few other agencies, but I've know him so long and we're obviously great friends too. It's not just business." 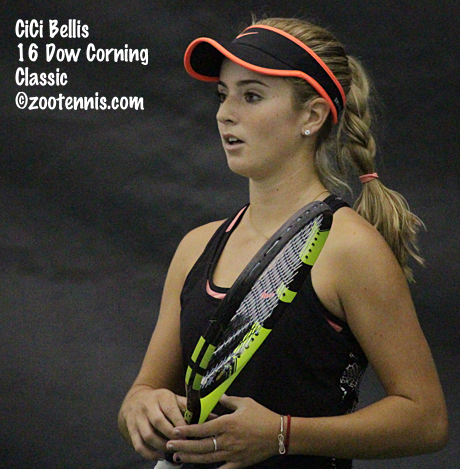 Bellis was an overnight sensation in New York back in 2014, when, as the USTA National 18s champion, she defeated No. 12 seed Dominika Cibulkova of Slovakia in the first round to become the youngest American to win a match at the US Open since Mary Joe Fernandez in 1986. Two years later, after wins over two French Open quarterfinalists (Alison Van Uytvanck of Belgium in final round of qualifying and Shelby Rogers in the second round of the main draw), Bellis was again a favorite with the New York crowds, who had no trouble recognizing her when she walked the grounds of the USTA Billie Jean King National Tennis Center. "I've gotten so, so much [positive feedback from fans]. I'm just so grateful for all the support I've been given, throughout the this tournament and throughout the whole summer," said Bellis, who had the encouragement of all Bay Area tennis fans when she reached the third round of the Bank of the West Classic in Stanford. "It's been amazing." 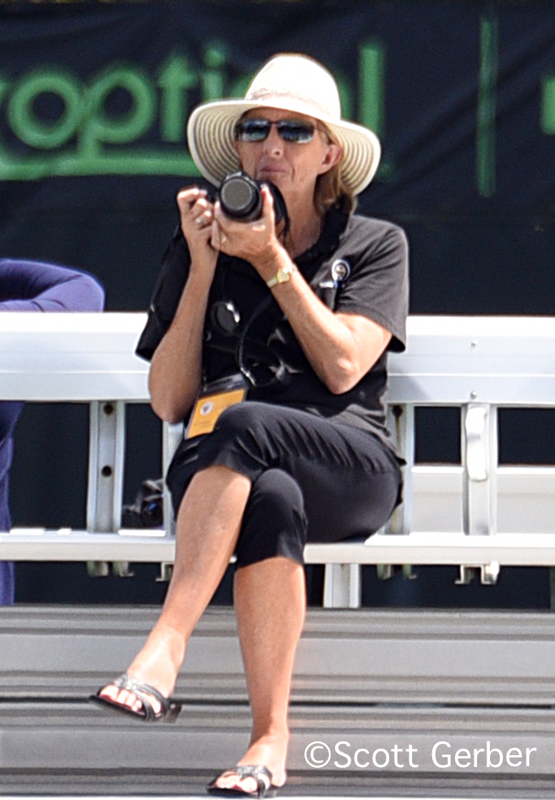 Bellis, who is coached by the USTA's Anibal Aranda, will be moving from her current home in Boca Raton to the USTA's new campus in Lake Nona, near Orlando, in January. 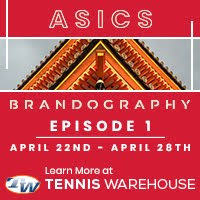 She will complete her senior year of high school online via the K-12 International Academy while playing professionally, although she is limited by WTA age restriction rules until next April, when she turns 18. I asked Bellis what she was most looking forward to, now that she has made her decision to forgo college. "Just being able to do what I love every single day, not for the rest of my life, I can't say that, but for a very long time," she answered. "Competing at these tournaments is what I love so much, and to be able to do that for a very long time, I'm so excited." And Stanford gets used by her as a safety net. But then again this situation is better than the one where the player was in school exactly one semester and won a team and individual title. @314159 xdia: IMHO, I'm sure Stanford knew the risk going in and didn't engrave any name plates for her locker yet. It probably didn't hurt their recruiting pitch with her as a 'commitment' telling other potentials that she was coming there (albeit brief). The Stanford coaches have probably taken the 'hi-road' and they're are wishing her the best. Plenty of schools would be willing to have taken that same chance. I have all but given up all NCAA sports but tennis. For me it is a haven for fair play and sportsmanship played by true student athletes. It is also a team sport. Anything that compromises any of those in my eyes I have to speak out against. Maybe a majority of coaches would take the same approach but I prefer the ones that want to work to help the ladies grow and improve both individually and as a team. I think our former coach at Tech was one and I would bet on ND, Vandy, FL, LSU and VA being others. She's so candid about her long relationship with an agent who "helped her" with many issues (aka worked on her behalf in expectation of deferred payment down the line) as an "amateur." Can you confirm she got the $144K for play in the US Open? Someone told me you have to declare your amateur/pro status prior to the tournament start, and that she essentially gave up all the prize winnings for expense money. Made no sense to me. Seems like you should be able to decide when they are cutting the check. I can confirm that Bellis received the prize money. Although Americans often do sign that status sheet you mentioned, they have until the end of the tournament to decide whether to take the prize money, or remain an amateur and use the money solely to offset expenses. Did Kayla Day or Sofia Kenin pick up their prize money checks?